Three Channel Nine news presenters welcomed babies in the first months of the year. Most were announced on Channel Nine’s Instagram page. There seems to be something in the water cooler, because last year Channel Nine news staff welcomed no less than eight babies. 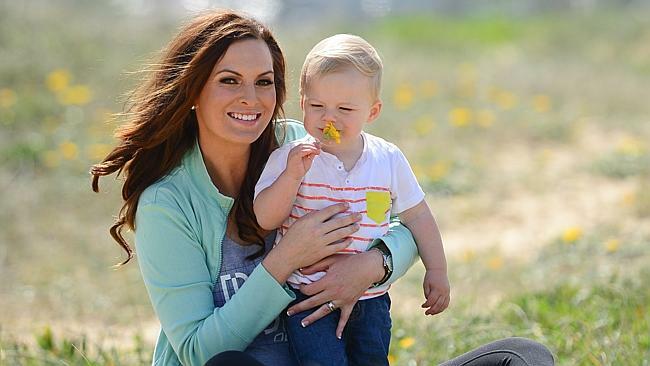 Wendy Kingston and her husband David Thompson welcomed their son Sam at the end of January, a brother to Joshua, aged 2. Wendy is a presenter on the afternoon bulletin, Nine News Now, and David is a financier. Amelia Adams and her husband Luke welcomed their first child in March, and have named their son Charlton Blair. Amelia is a presenter on Nine Morning News and Nine Afternoon News, and Luke is a cameraman and photographer. Amber Sherlock and her husband Chris recently welcomed their son Zachary James, a brother to Piper, aged 4. Amber presents the weather on Nine News Sydney, and is the Friday presenter on Nine News Now.